Doug Hollinger, left, talks to a construction worker laying concrete over a new storm drain placed in front of his store, Park City Clothing Company. Hollinger said workers and the Historic Park City Alliance have been quick, responsive and helpful. Photo by Alexandria Gonzalez/Park Record. Signs assure customers shops are open and wooden boardwalks ensure access to their doorways as construction continues on Main Street’s five- to seven-year remodeling project. 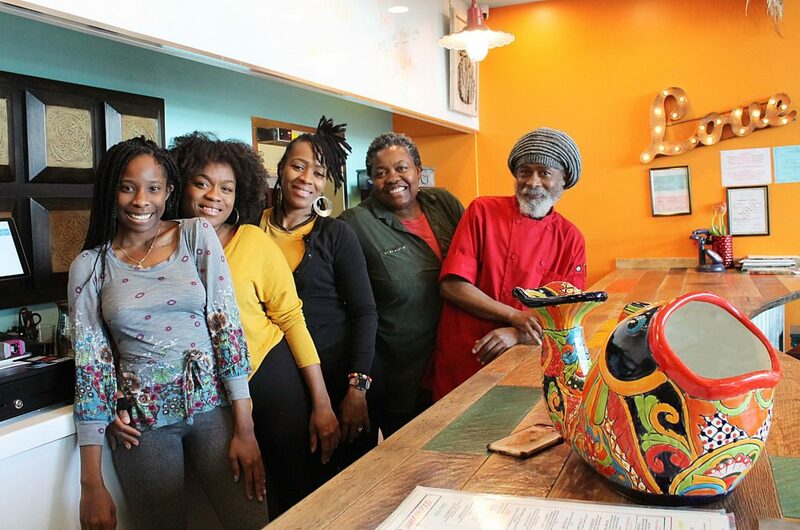 The large cement trucks and bulldozers on the street are eliciting mixed emotions from business owners who are worried about decreased foot traffic. Craig Sanchez works for City Hall and is the unofficial community engagement liaison between the Historic Park City Alliance and vendors on Main Street. He said he is on the street almost every day, sends out weekly email updates and also visits each business that could be affected by construction. "So far, we have gotten nothing but positive feedback," said Sanchez. 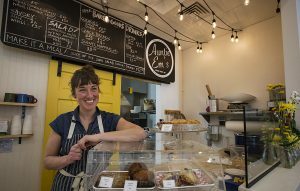 "We have set up little boardwalks that create pedestrian access to the street and all the businesses, so we are doing everything we can to make sure people can still shop where they want to shop on Main." 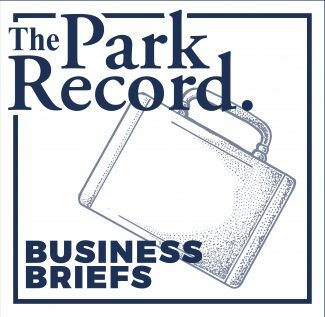 Construction in the fall, spring and into the summer has been concentrated in many cases right in front of Park City Clothing Company, but owner Doug Hollinger said he can’t complain given the assistance Sanchez and the HPCA have provided. "To be honest, I thought we were going to see a big hurt in sales, but you can’t tell any difference," he said, waving hello to a construction worker pouring concrete in front of his store. "Business is as good as if we were wide open, because the guys have just been terrific." However, Devin Underwood, manager of the Quiksilver store next door, said his shop has seen a significant decrease in foot traffic compared to last summer’s numbers when construction was across the street. 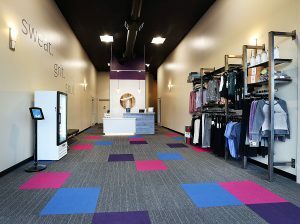 "That has been a huge impact on us and the accessibility of our store, slowing down the flow of traffic into here, so I’m definitely nervous about early July," he said. "Next month, it’s supposed to start happening right in front of our store, so I am nervous about what it will continue to do to our foot traffic and the ability of our customers to get into the store." Sanchez said the replacement of gas lines and sidewalk improvements are currently being done on the east side of Main Street beginning in front of Southwest Indian Traders at 550 Main St. down to Heber Avenue. Miller Paving, with a contract through the city, is working on the sidewalks and Questar Gas is replacing the main gas line as well as all meters. Storm drains and conduits for electricity are also being replaced. 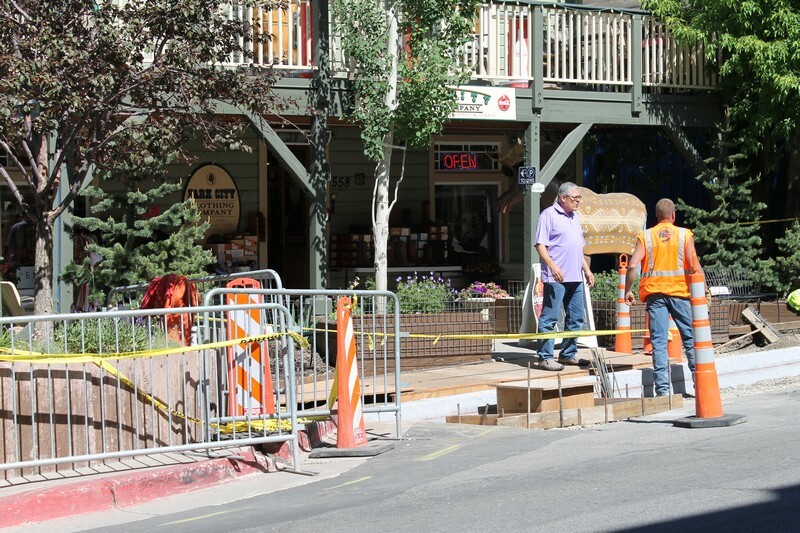 This phase of construction will last through the months of June, July and August, but Sanchez said they will halt construction during the last week of July and first week of August when the Park City Arts Festival and Tour of Utah pass through Main Street. The next phase will begin Sept. 2, the day after Labor Day. It will be the renovation of the Bear Pass Walk-Through between Swede Alley and Main Street, beginning at the drop-off of the transit center. 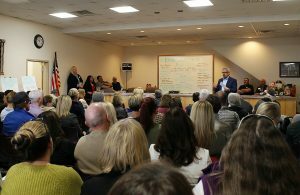 Again, Park City Clothing Company and Quiksilver may see adverse effects of the construction, but both Hollinger and Underwood said they are not too worried about it. "I’m more worried about the construction right in front of our store," Underwood said. "It might be a hindrance in the sense that it is an entryway to Main Street from that back parking lot and most people don’t realize they can go through the mall area to get out here, but I don’t know that it will affect it too much." Hollinger said he remains optimistic because of how quickly they are completing construction and helping to create accessibility. Nevertheless, he’ll keep his "We are open" sign in front of the store by the sidewalk just in case. "It is still business as usual, because construction rolls out really quite well with minimal impacts on the street," Sanchez said. "From what we saw from last year’s tax numbers, everyone had a good summer during the first phase of the project, so I am sure they will be fine this year."